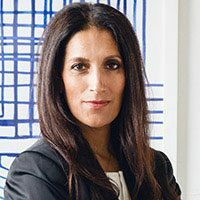 In June 2015, Sukhinder founded theBoardlist (http://www.theboardlist.com), a Benefit corporation and premium talent marketplace aimed at connecting highly endorsed women leaders with board opportunities in the tech industry. Supported by a community of over 1300 leading CEOS, senior executives and venture capital firms, to date 2000+ senior women leaders who have been nominated to serve on boards, 380+ board searches have been launched and over 100 board seats have been successfully filled leveraging the theBoardlist platform. theBoardlist has been profiled in numerous publications including : Fortune, Forbes, the Wall Street Journal, NYT, Bloomberg, Wired, TechCrunch, Fast Company, and USA today.